PHARR — Despite the partial government shutdown resulting in U.S. Customs and Border Protection officers working without pay, international bridges in the area have continued to see hundreds of thousands of cars, trucks and pedestrians cross between the United States and Mexico. 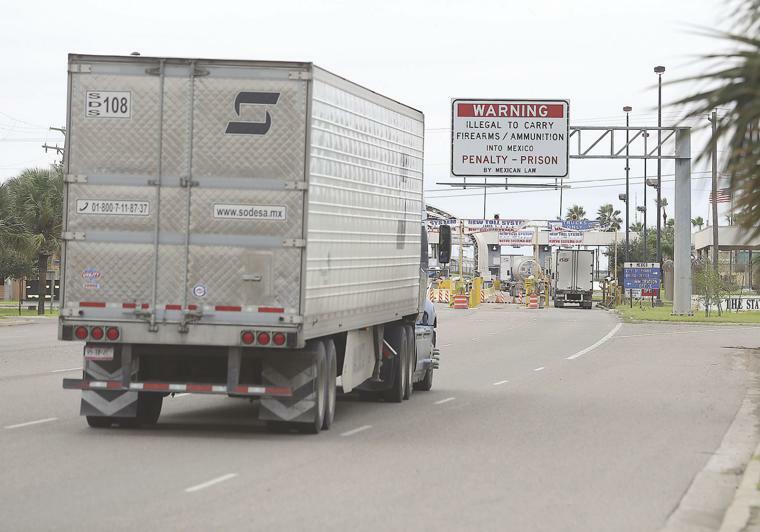 The Pharr-Reynosa International Bridge, the busiest commercial crossing in the Rio Grande Valley, still saw more than 45,000 trucks cross southbound in December and more than 48,000 cross northbound in December. The bridge also had more than 69,000 cars cross southbound in December. The Hidalgo-Reynosa International Bridge, one of the busiest for foot traffic in South Texas, saw more than 129,000 pedestrians cross south in December. That same bridge also had more than 268,000 cars drive southbound. The Anzalduas International Bridge in Mission saw more than 1,445 trucks drive southbound in December and more than 93,000 cars drive south during the same time. While traffic over international bridges has continued, managing the flows has not come without inconvenience. Pharr has had to plan to financially support U.S. Customs and Border Protection inspectors at its bridge while those workers have not been paid during the government shutdown, according to Pharr Bridge Director Luis Bazan. Pharr is the busiest bridge for produce crossings into the U.S., and produce season launched in October and ends in the spring. The bridge usually brings Pharr more than $12 million annually, and city officials feel it’s necessary to help during the shutdown. “It’s incumbent upon us to lend a hand,” Bazan said.